Certified nursing assistant (CNA) is the most junior nursing role. CNAs assist more senior nurses by providing basic bedside care, like helping patients to feed, bathe, or use the restroom. To become a certified nursing assistant, candidates must complete a brief eight- to ten-week certificate program and pass a state-administered exam. Missouri’s CNAs earn a median annual salary of about $22,000. Licensed practical nurses (LPNs) are more senior than nursing assistants. LPNs perform a broader range of medical procedures, such as recording vitals, monitoring medical equipment, and dressing wounds. Candidates must complete a 12- to 18-month certificate program and pass the NCLEX-PN national exam to earn licensure. 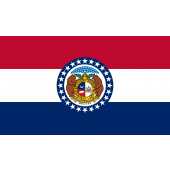 LPNs in Missouri earn roughly $37,000 per year. Registered nurses (RNs) perform many healthcare tasks independently, like administering medications, performing diagnostic tests, and establishing patient care plans. They also supervise teams of nursing assistants and LPNs. Missouri’s RNs can attain licensure in one of three ways: hospital diploma, two-year associate’s degree, or four-year bachelor’s degree. Candidates must then pass the NCLEX-RN national exam to earn licensure. Missouri’s RNs earn a median annual salary of over $56,000. Advanced practice registered nurses (APRNs) fill specialized scopes of practice like nurse practitioner, nurse midwife, or nurse anesthetist. Candidates must complete one to three years of graduate study in a Missouri university to attain certification. The state’s APRNs are very well compensated, earning anywhere from $85,000 to $145,000 annually depending upon field of specialization. Individuals interested in starting a nursing career can refer to our comprehensive list below of Missouri’s accredited nursing schools.